The original Light Effects filters, which render several illumination effects of the image. 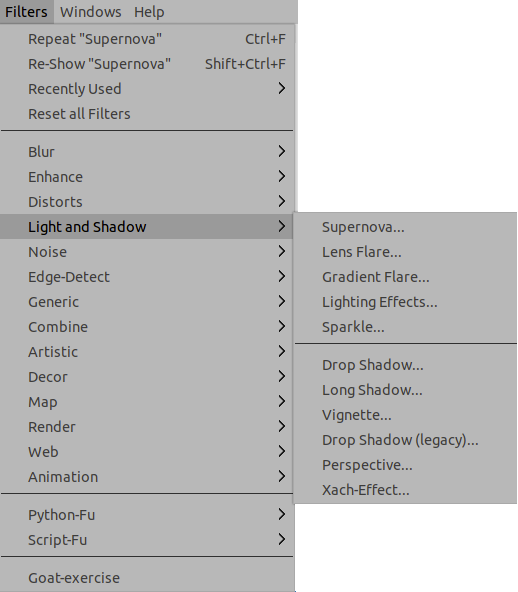 Some Script-Fu and Python-Fu scripts, which create various kinds of shadows. Glass Effects filters result in an image as if it were seen through a lens or glass tiles.